Pilot programs in Central and Western Africa to identify the impact of logging on ape populations found that chimpanzees and gorillas shifted their ranges away from disturbed areas to undisturbed refuge, even if the latter had less desirable forage. The best approach to ape conservation is to preserve ape habitat intact and undisturbed. 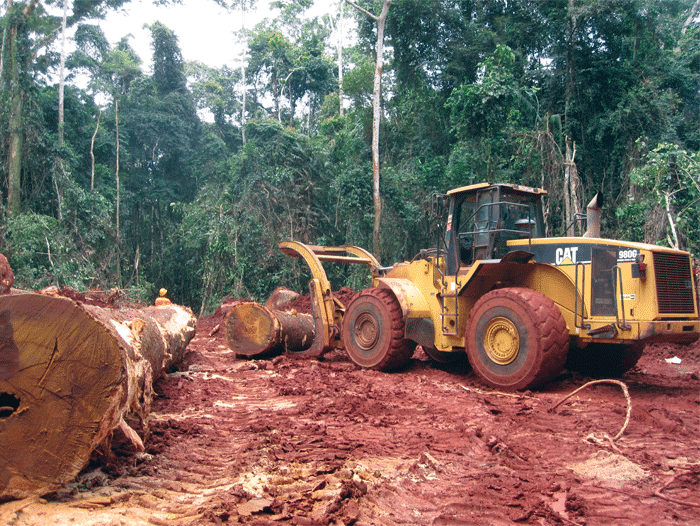 But, as economic pressure on tropical forests is likely to increase in the foreseeable future, preserving ape habitat will therefore depend on both stopping the most destructive practices, such as clear felling, and implementing sustainable forestry management. The latter is defined in part by the United Nations as practices that “…maintain and enhance the economic, social and environmental value of all types of forests….” Best practice includes concession agreements that identify areas of high conservation value, such as critical habitat for endangered species, and require action to minimize their disruption. Many tropical countries have incorporated some form of habitat protection into their concession agreements and legal codes, but implementation is weak and inconsistent. A small fraction of timber concessions are certified as sustainable by organizations such as the Forest Stewardship Council. Wildlife populations are higher in these certified concessions than in conventionally logged forest—and sometimes even higher than on nominally protected land, which may be subject to illegal logging and poaching. Sustainable management holds some hope for conserving ape populations on land subject to logging but remains a second-best strategy compared to strict protection.